Primož has a number of epic trips under his belt: he has taken a roadtrip to India in an old Renault 4, travelled extensively throughout South and Central America and even sailed across the Atlantic. As part of his master’s studies he lived in Portugal and Spain, which is part of the reason he is fluent in Spanish, Portuguese, English, German and Serbo-Croatian. His degree in organizational management is put to good use on his journeys worldwide and while guiding. He loves Slovenia and the entire Balkan region of ex-Yugoslavia. 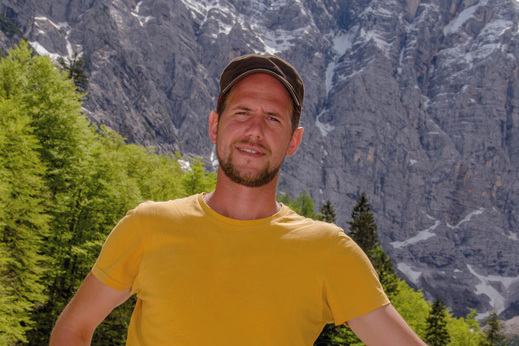 As a licensed mountain guide he is especially keen on the Slovenian Alps, though he also can’t imagine life without regular visits to the Adriatic coast and Croatian islands. When Primož isn’t travelling or guiding tours he is usually sailing, scuba diving, climbing or hiking and exploring new alpine trails.